- Shape of the seed drum : Hyperboloid. Four Brothers Ex - Imp Pvt Ltd.
We are providing a stunning range of Rice Planter to our clients. 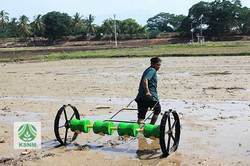 Offered in various power options and specifications, we are offering this Rice Planter at very affordable price range. 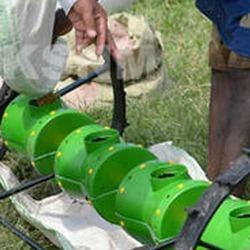 Easy to operate, this Rice Planter is widely used in agricultural farm for planting rice. We are at our place one of the leading supplier of Row seeder / Drum Seeder. Eight row rice Transplanter Drum seeder/ Row seeder. We are able to manufacture Row Seeder, with the vast support of our team. We are a leading dealer of Row Seeder. We are a emerging Supplier of Row Seeder. We are a leading exporter of Row Seeder.